As a productivity whore I’ve extolled the virtues of OmniFocus and Basecamp in the past. In my opinion, these two productivity products are tops in terms of project management, collaboration and milestone tracking. For those of you unfamiliar with either of these applications, a brief introduction is in order. OmniFocus (which I’ve written about before) is a personal task manager by The Omni Group built for the Mac OS and iOS devices. I’ve been using OmniFocus for about three years and it really helps you to work smarter by giving you the tools you need to stay on top of all the things you need to do. Basecamp (which I’ve also written about) is an online collaboration project management software. Basecamp’s web-based platform offers to-do lists, wiki-style web-based text documents, calendars, milestone management, file sharing, time tracking, and a messaging system. Combined, OmniFocus and Basecamp provide all the online tool you need to manage multiple projects. OmniFocus offers a series of mobile applications, which extend the power and utility the software offers through its desktop application to mobile and tablet devices. Through the Omnisync servers, activity conducted on one device syncs seamless with all of your connected devices. Basecamp, which had traditionally focused solely on its web platform, has developed its own applications for mobile and tablet devices, also extending its project management and online collaboration tools to connected devices as well. Having used the desktop, web and applications with great success, I swear by them. Notwithstanding, its still challenging working with two platforms that possess independent calendar, time tracking and milestone components. OmniFocus has a scheduling and forecast function, which lets you see past, present and future events, tasks and milestones. It synchs with Calendar, and allows you to see your tasks alongside any event, task or to-do that you’ve got scheduled. Basecamp also has a calendaring function, which lets you schedule events and milestones. The subscribe feature gives you the ability to have your events show up in Calendar too. It doesn’t seem like a big deal, but it definitely involves a bit of juggling. Spootnik is an application that connects OmniFocus and Basecamp, allowing you to keep them in sync. It was developed by Lars Steiger, who wanted to bring both his worlds of productivity together. Spootnik pulls all of your Basecamp milestones, calendar events, and to-dos into OmniFocus, allowing you to see everything in one place. It also allows you to make changes and updates to Basecamp items within OmniFocus, and have those updates sync automatically in Basecamp. Having used Spootnik for over two months now, I am grateful that Lars was so inspired. It’s put my productivity on ten and there’s no looking back. If you’re using Basecamp and OmniFocus, I’d definitely advise getting a Spootnik account. There’s a free 30 day trial, so you can test it out commitment free. 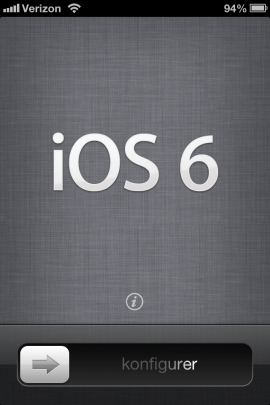 After a much awaited…uh…wait, yesterday, iOS 6 finally arrived. Everyone in the office with an iPhone broke out their joints and copped the update. Everyone except your boy, that is. You see, long ago, I became a Jailbreak disciple. And the first rule of Jailbreaking is that you never automatically update your OS. Updating a jail broken phone without first acquiring the secret sauce to preserve your jailbreak, renders it obsolete. So there was no updating anything until my crew had successfully implemented a jailbreak for it. Consequently, I watched curiously, from the sidelines, as others eagerly updated their devices. Like giddy children, they clutched their iPhones and sat through the (painstakingly long) process of getting the update to their devices. Unblinking, they sat, eyes glued to their screens as slowly (oh so slowly), the progress bar made it’s way across the screen. 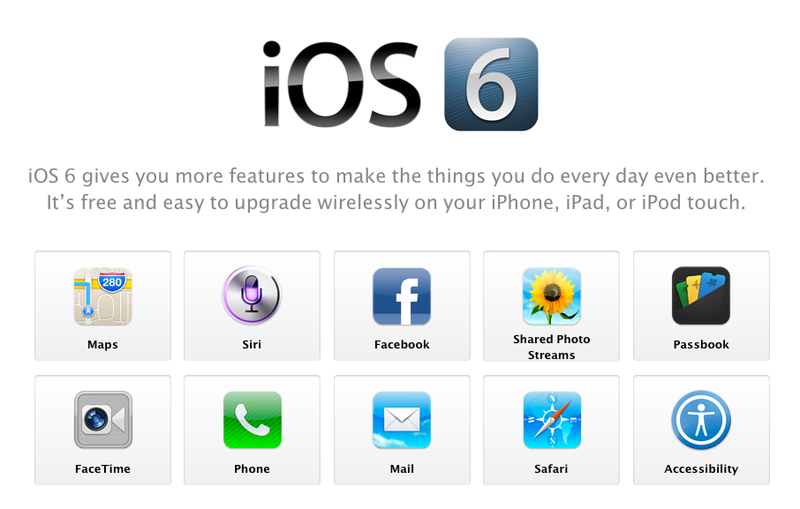 Muffled gasps escaped their lips, as the updates completed and they were presented with the shiny new iOS 6 welcome screen. Wide-eyed, they stepped through the balance of the set up wizard. There’s more stuff to update? The same old home screen. Wait! What do I spy? Is this the thingamajiggy that lets you store all you loyalty cards and accounts? Whoa! Somebody’s all fancy schmancy! Hmmm…interesting, no navigation dock or buttons on the bottom…it’s all map! And they’ve re-arranged the buttons behind the map, how nice. There are updates to the phone too! In addition to “Accept” and “Decline” buttons there’s a little phone icon, that pulls up a bunch of options. Don’t want to take a call, now you can (politely) tell the caller to piss off! Ummm…you can hit “decline” now. I’m done with this update. Is that a slight tint to the color of the status bar I see? And all the other stuff?! What about all the other stuff! C’mon! Don’t put your phone away! I shouldn’t be breathing all down your neck. I didn’t even realize I was drooling. Seriously, my eleventeen readers need this review! iOS 6 ain’t all that anyway! Note: What you’ve just read was pure nonsense. If you want a real review (albiet a self-serving one) check out the What’s New in iOS 6 page at Apple. And for a step-by-step walk through to update your iPhone or iPad to iOS 6, check CNET’s insightful article.